Fractional-resurfacing technology uses light of a laser to the skin to improve skin texture and remove pigmentation. A small fraction of skin is applied with it at a given time. The energy of the laser system stimulates collagen in the skin and rejuvenates the skin cells below the skin’s surface. Therefore, it helps to smooth out the creases that causes wrinkling and scarring. What is the laser type for this procedure? The laser being used in this procedure is Erbium Yag. This laser works by creating microscopic wounds (400 microns) within the targeted area well beneath the outer layer of skin. 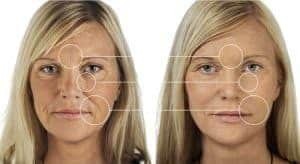 Fractional laser treatment trigger the body’s natural healing process by accelerating the production of collagen and new healthy skin cells. What are the uses of this laser? Well it is a painful procedure and more so requires patience. What is the procedure for pain management? The topical anesthetic is generously applied on the area to be treated about 1/2 hour before the procedure starts. Most importantly, cold air is also used to alleviate pain. For instance it takes about 5-15 minutes. How many treatments are required in wrinkles, stretch marks & acne scars? On average 4-5 sessions spaced between about 2-3 months apart for wrinkles, stretch marks & acne scars. What are the post acne marks treatment results? More than 50 to 90% of the post acne pigmentation oozes out in just one session & the patient starts seeing the results after the end of 2nd or 3rd month of having laser treatment. What are the Melasma treatment results? At the end of one month of doing a laser spot testing, the skin is evaluated to see if Melasma suits it. Most of the pigmentation oozes out in just one session. The skin looks red and there might be some swelling. After 3-7 days, The skin starts flaking off, thereby, revealing new skin beneath. Can we apply makeup after the treatment? When can the patient see the results?